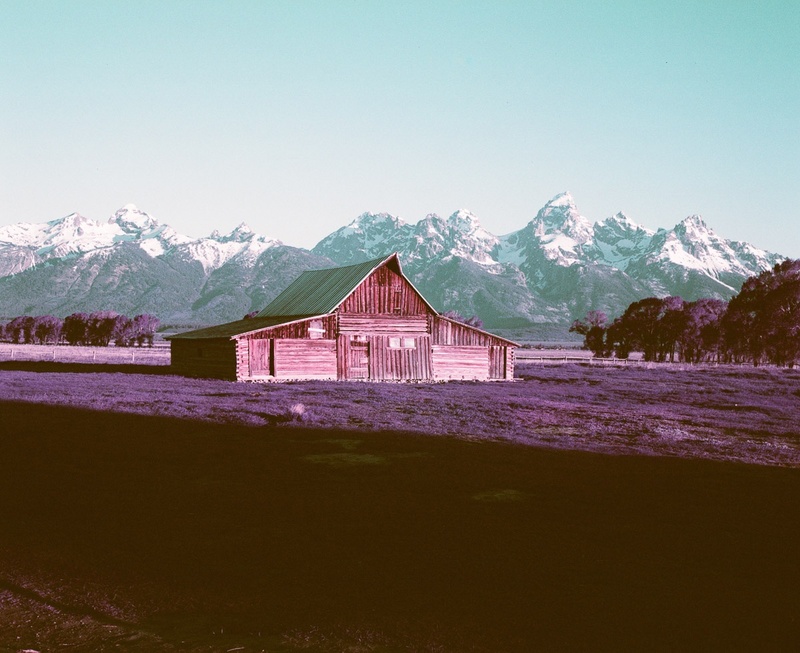 I shot one roll of Purple Lomochrome film in Grand Teton National Park, and one roll of Red Lomochrome. Both use emulsions that play with standard color channels. I’ll have more on the red later, but I was very pleased with the effect of the purple. I got another roll of purple back from the lab at the same time, of which half was shot indoors. It’s clear that this film works best with plenty of light. I am very pleased with the results I got at GTNP and will probably post nearly the entire roll.